Born in 2013, Insane has established itself as one of the best underground parties to light up the cherry topped club in recent years. The night is called INSANE for a reason...the list of DJs is just that and upholding this reputation in 2015 were residents Bedrock Records head honcho John Digweed and Detroit legend MK. 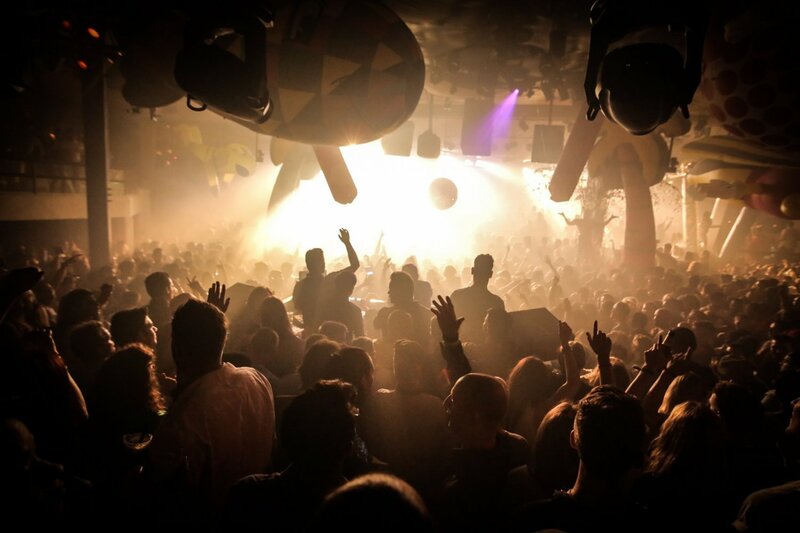 In a huge coup for the underground lovers for its 2016 season, which returns on 20 May for 20 weeks until 7 October, Pacha has secured the return of Luciano and his nomadic tribe across seven dates. The first of the Insane presents Vagabundos dates is the grand opening and it'll be the first time that the Swiss-Chilean DJ has played at the club for four years, plus he'll be joined by the likes of Alfonso León, Cesar Merveille, dOP, Ezikiel, Guillaume & The Coutu Dumats, Josh Wink, Livio & Roby, Martin Buttrich, Mathias Kaden, Michael Cleis, Mirko Loko, Octave One, Ryan Crosson, Tobi Neumann and Valentino Kanzyani, so insanity guaranteed. Elsewhere we have Hot Since 82 confirmed for three dates on 24 June, 15 July and 5 August, with him showcasing his renowned imprint Knee Deep in Sound with guests including Miss Kittin, Nick Curly, Booka Shade, Santé B2B Sidney Charles and Alex Kennon. MK has been added to the star-studded bill with his label, Area10. He'll be throwing down a series of takeovers with Pete Tong, Groove Armada, Riva Starr, Camelphat and Becky Hill across six dates. Nic Fanciulli completes the list of Insane residents with 'We Are The Night' taking hold of Pacha on 3 June, 22 July, 26 August, 2 September and 7 October. Guests include Sasha, Hot Since 82, Bicep, Matthew Dear, &ME, Guy Gerber, Joris Voorn and Kölsch. Start your weekends off at Pacha, you'd be mental not to.